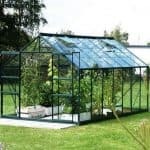 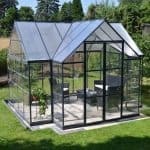 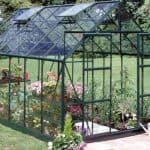 This 12 x 10 orangery provides a striking and very elegant environment for you to use in your cultivation of plants. 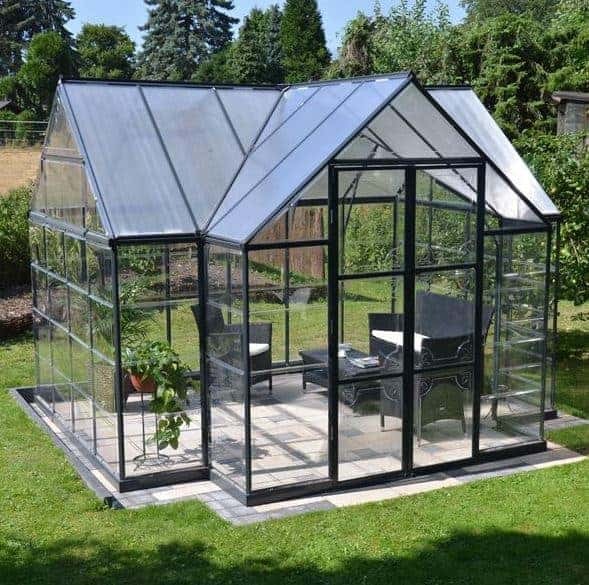 It looks great, and also has plenty of features that make it very practical too. 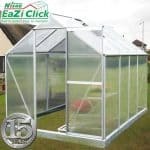 The unit is a great place to simply spend time and the polycarbonate panels ensure that UV rays won’t enter the building and cause any cracking or peeling to take place. 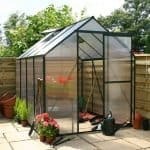 The building also makes a greenhouse function quite natural, and this comes across in the way you use hanging baskets or similar items and simply watch them grow. 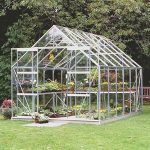 The eaves have been specially braced against accidents, and the base is made of reinforced steel.